You must make reservations at least 5 minutes in advance of the time at Daniela's. Welcome to Daniela Trattoria! Offering age-old Italian tradition and timeless recipes that have been passed down through generations, this Italian restaurant successfully combines cuisine and atmosphere to create a dining experience that won’t soon be forgotten. Perfect for pre or post-theater visits and large parties, Daniela Trattoria is the kind of place that could be your home away from home. 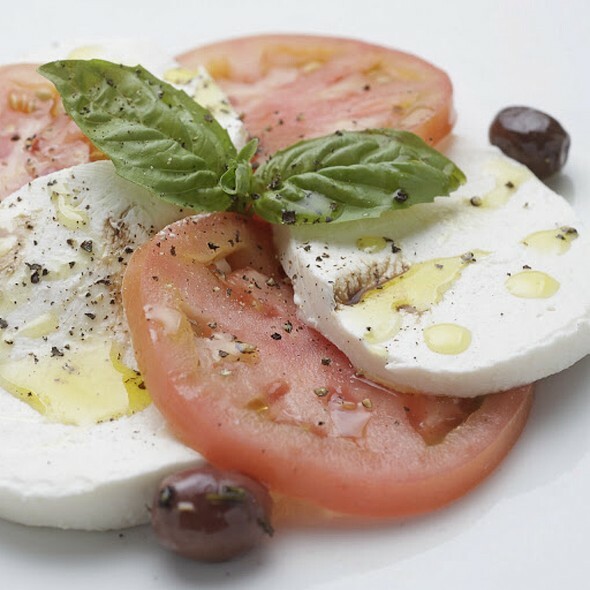 The smells of spices and homemade Italian cooking fill the air while a friendly and knowledgeable wait staff bends over backwards to cater to your every need. 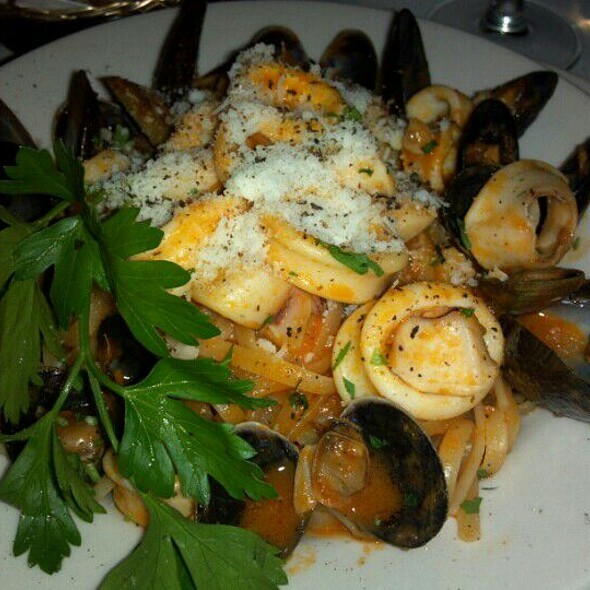 The menu is vast and impressive showcasing traditional Italian specialties. 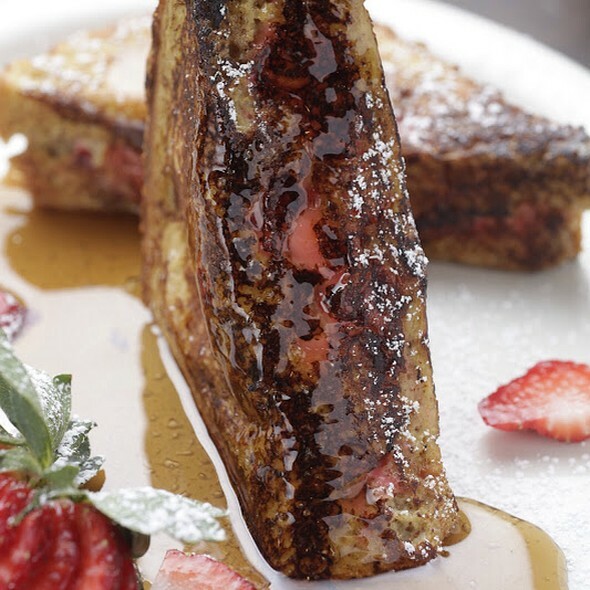 There is something here sure to tempt every palate even the most discriminating of gourmets! No matter what the occasion calls for or your appetite demands, the friendly staff at Daniela Trattoria promises to make your next dining experience truly unforgettable. 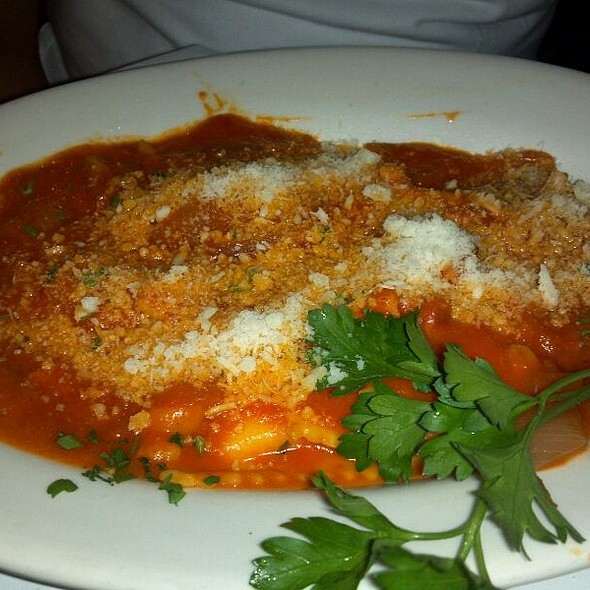 Best lasagna in NYC. Homemade pasta in a homey decor. Perfectly located in the theater district.Look forward to returning. Service was very quick and portions large. Food was average. Nice experience for pre theater. Service was slow, the food was expensive and tasted as if it was from the frozen section of a supermarket. Great food great service. Reasonably priced for the quality. It is simply fast food Italian. I ordered the salmon dish and the fish was bad and unable to eat. The staff was attentive and took it off the bill. Also they only have a red and white wine by the glass and both are not very good. A perfect pre-theater experience. Easy walks to all the major theaters. 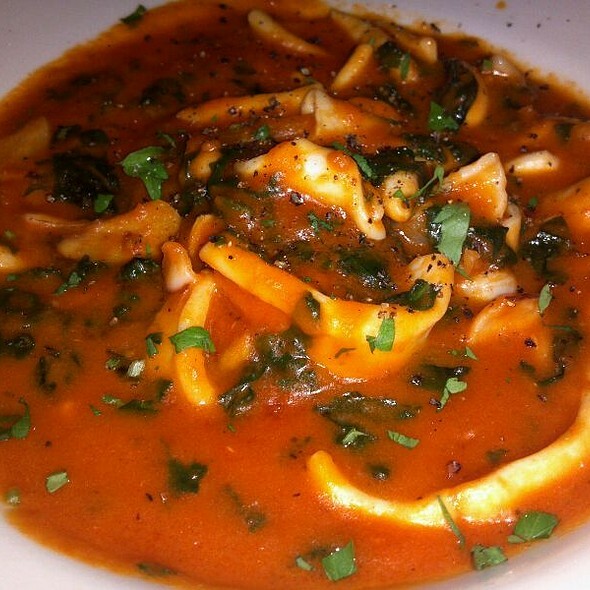 Delicious housemade pastas. Very nice veal. Terrific tiramisu. Great table wines. Attentive service that never hovers. Loved the casual open-air atmosphere downstairs. Dine early - the place gets packed with locals. Excellent food and service. We had theatre tickets for 7:00 and were finished dinner in less than 1.5 hours. No rush for us to leave. 2nd time at this restaurant. This is alright fare for quick bite when you have no choice, but many not what is online, quality not good, and much better places in neighborhood. Great pre-theater restaurant. Service was efficient and friendly. The sepia appetizer was outstanding as well the eggplant parmesan. Nice wine list too. Great restaurant with good food and nice service! Pleasant surprise! Daniela's is not an expensive, fine dining restaurant, yet it serves fine dining/delicious food. And also like fine dining restaurants, the staff is always attentative (without being annoyingly so) and accommodating. I've eaten here often and have recommended it to many friends. We came for lunch before a show. We had omelettes which were delicious although a little pricey. However, the waitstaff overheard it was my friend’s birthday - so they came over with a piece of cake, a candle and sang happy birthday. That was priceless!! Fantastic little gem off Broadway! Food was very good. 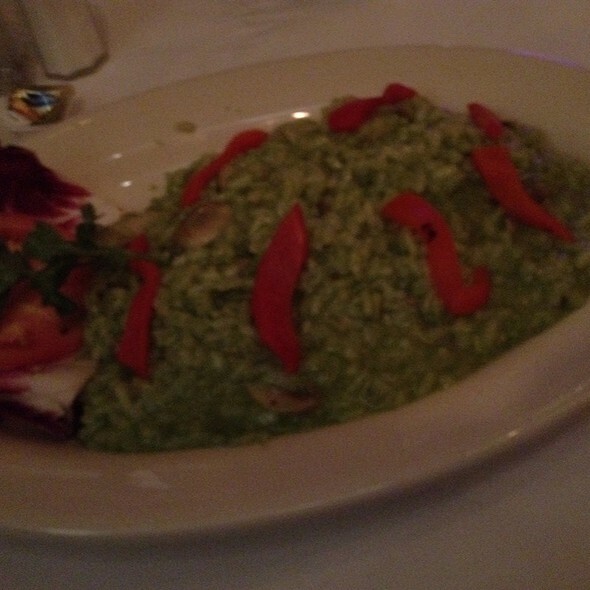 The Chef Special chicken risotto needed a little salt, but that's splitting hairs. The service was fast and thorough. Theater dinner times can be tight, but they were on point every step. The apps were great, suggest the sangria, clams casino and the tiramisu was a great closer. Showed up late to a 6:30 reservation, for a 8p To Kill A Mockingbird, but they were ready and I had a leisurely walk with time to spare. The portions were perfect and has now become a "go to" as a theater option right around the corner from Shubert Alley. I enjoyed the dinner so much that I went back the next day for lunch!! While lots of food, food was mediocre in quality. Calamari was overfried and sauce for it was banal. The pesto was overly creamy and linguini lumped together. Salmon was dry. Service was rapid and guaranteed ability to attend 8pm theater show. Was a two story venue that was filled with pre-theater crowd on a Saturday night. Wine by the glass was reasonably priced and with a reasonable selection. Good service. Food just ok, nothing special. Pre theatre. Very rushed to get us on our way. It is a Glorified pizzeria nothing more we made reservations we were shoved in a table by the stairs didn’t matter to make reservations please doesn’t look like it is in person. Great restaurant in the theatre district. Close to the theatre, not too loud or crowded for a Saturday evening. Would definitely recommend for a date night, theatre night or girls night out. The food was good, but the portions were not large. Service was fine, but not really friendly. Decor in the upstairs dining room was sparse. The location was good for area theaters. Just ok. Bread was good, overpriced. Very attentive staff and if you are trying to make a show, they serve quickly and are quick to get you fed. The service was outstanding. Best service I’ve ever had. Staff was very attentive. My water glass never got more than half full. In my reservation I put it was my son’s birthday. Without asking the cane out with dessert and sang. Definitely one of my favorites in NYC. Just wish the portions were a little bigger. 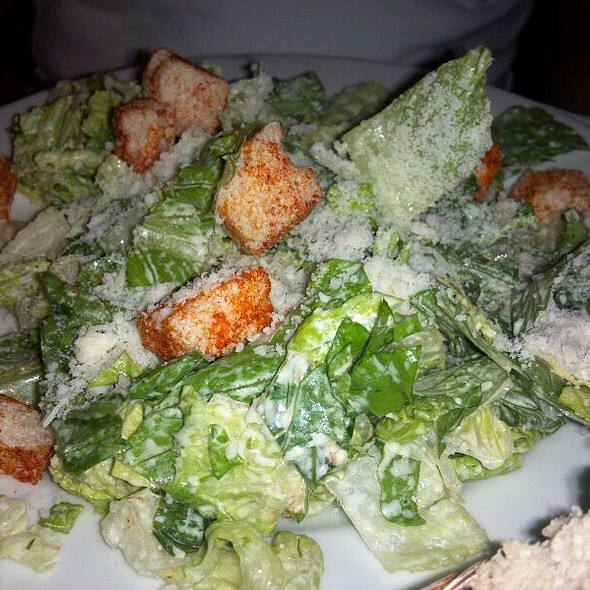 I think I spent $12 for a caesar salad that was overdressed, soggy, tasteless and made partially with iceberg lettuce! Ridiculous. I should have sent it back but we were in a rush to get to the theater. The bread served in a basket was stale and skimpy. I ordered Veal Milanese and it had no taste. Over fried and dry with a soggy tasteless salad on top. Disappointing overall. Would not return. with so many options in the area.. try somewhere else. Attractive and comfortable milieu for after-theatre supper. Basic Italian menu wasn’t exciting, but our food was fresh and well prepared and nicely served. As expected for Broadway environs. But the food and value were exceptional. Wait staff was attentive and the service was FAST. We dine at Daniela's whenever we come to NYC to see a show. We have never been disappointed in the quality of food and service, at reasonable prices, in the heart of the theater district. Daniela's is a real gem! Delicious food, lovey atmosphere, great service and perfect location for most theaters. I'm not sure what else one can say! Great. But felt like we were rushed out the door. No time between sitting down and food. No time for appetizers bc food was brought so quickly. 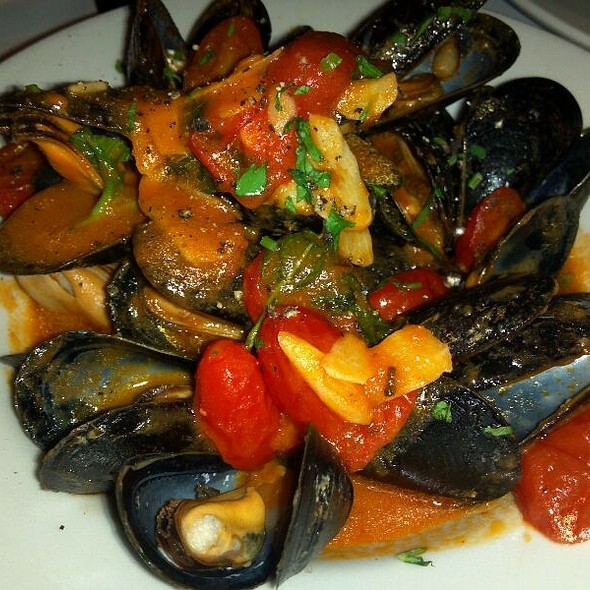 One of the least expensive restaurants in the theater district - and with very good food. The service is sketchy and there is not a full bar, but the menu is a good one as is the sangria. I come here often and will continue to do so. Always reliable and good. I haven't been disappointed and it's a great place to eat in when you're going to the theatre. The service is good, portions are the right size and the food is always good. everything was very good the only negative was service was a bit too fast .. felt rushed..
Quick, attentive service, quaint restaurant, food came out quick, hot, good portion sizes and tasted great. Tables kind of close together so noise level a little high. Would definitely recommend and go back again.